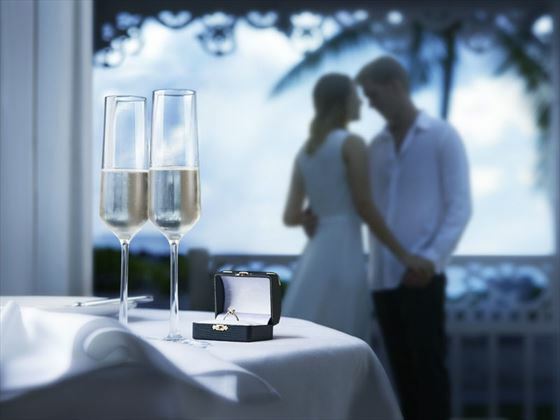 One of the most romantic resorts in St Lucia, Rendezvous is a discrete and elegant couples-only resort that suits sophisticated weddings. The tranquil surrounds allow you to spend time with your partner and loved ones, with the focus entirely on you and your special day. The staff here are attentive and dedicated to making sure that every moment of this big day goes as planned, so you can relax and take in every second. Tie the knot as you look out to the ocean from the picturesque Malabar Beach. 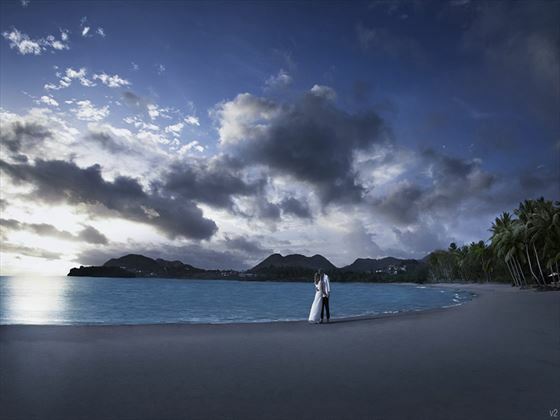 Rendezvous is a fantastic setting for weddings or relaxed honeymoons – romantic, chic and elegant. So you’ve decided to get married overseas, and you’d love to surround yourselves with family and friends on your special day. Destination weddings have become increasingly popular and staying at the same hotel as your guests makes it a real occasion. Tropical Sky can help make all the bookings with excellent group offers. 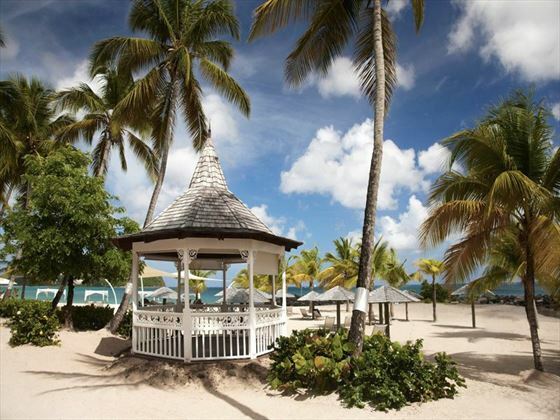 Rendezvous, St Lucia provide wedding parties, both small and large, with the best amenities to make the wedding celebration with friends and family as memorable as possible! You may require additional items such as extra wine, a larger wedding cake, and extra flowers. Extra costs will be obtained for you and will be payable in resort by you. If you are staying at an all-inclusive resort, guests not staying at the same resort will need to purchase a day pass (where available) to attend the ceremony. Certain numbers, gender and age restrictions may apply. Several hotels provide their own group offers. These offers can only be organised at the time of booking your wedding and cannot be added on at a later date. If any passengers cancel at a later date and the number of adults drops below the required number, this offer will no longer be applicable.